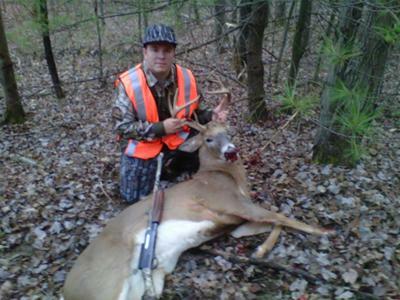 First buck in my 3rd year of hunting. Shotgun in southern tier (7s) on 11/20/11. est. 170-180lbs dressed.